Price includes 2 dumbbells of the specified weight. Unlike most of our other dumbbells, these are sold in pairs only. 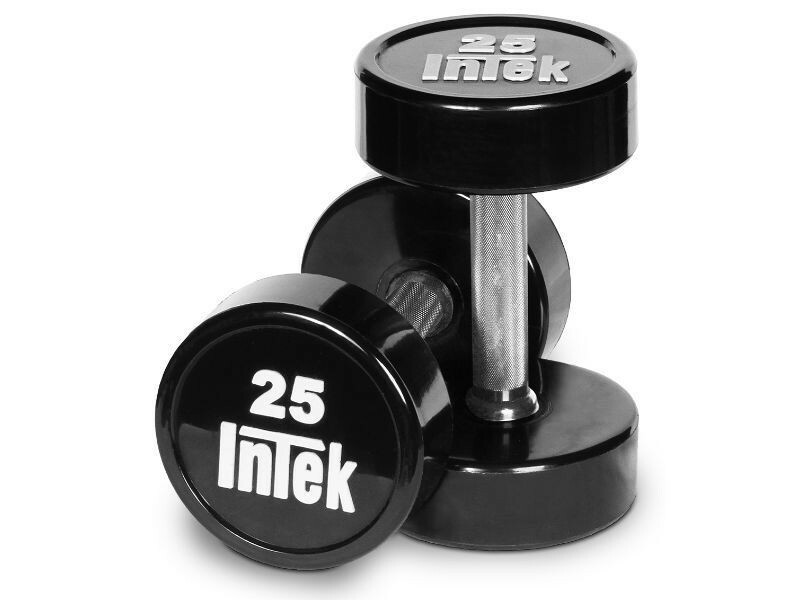 Intek went above and beyond with their Bravo Series urethane dumbbells. They press-fit the steel handles into the steel heads and then weld them into place, preventing any possible loosening of the heads from being dropped. The heads are encased with a thick layer of urethane. Feel free to drop these all you want. The handles and the thick urethane will hold up. These dumbbells are available from 5 to 100 lb in 5lb increments, and also in 2.5lb increments in sizes: 7.5, 12.5, 17.5, 22.5, and 27.5lb.